This post is made up of portions of a chapter in my current book writing project. You can find out more about what I am working on here. 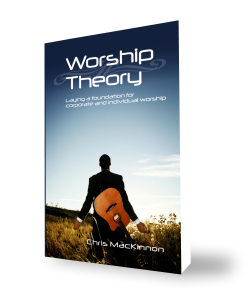 Many people are aware of their gifting and passions, as well as the needs of their church. Each week when they walk through the door, they wait. Not to be escorted to their seat by an usher, not to hear God’s Word spoken through the pastor, and not to surrender their heart in personal worship. They wait to be asked to do what they believe they should be doing. Is this you? You know your gifting. You know the church can be blessed by your use of that gifting. You are even available to jump right up and be part of what you know you should be doing. So why haven’t you been asked to do it yet? Maybe you are being tested. No, you don’t have to rush home and pull out an old textbook or sharpen half a dozen Number 2 pencils. You may not have a clue that you are being tested, but you probably are. A good pastoral and leadership team will test each person before they ask him or her to serve the church. If a church member is tested afterbeing put into service, issues for development or correction will be harder to handle, and that would not be the best of circumstances. The worst would be a confrontational situation that brings harm to the team, the church within, and its reputation in the community. There are some basic qualifications that should be tested before one is placed into service. If you feel that you are constantly overlooked to fill a role in your church’s operation, you should ask yourself how you are doing in these areas. 1. Spirituality. This is not about being super-spiritual or the appearance of spirituality. It is about whether or not there is evidence that a person is truly following Jesus Christ as their Lord and Savior. If there is someone in the church who is gifted and able to serve, but they do not have any interest in Scripture, prayer, worship, or fellowship with other believers, Leadership should seriously question whether that person is qualified spiritually to serve the church. While not all roles in the church are spiritual roles, the church is a spiritual entity. One’s interest in connecting with Christ and His people is an important factor to test. You may be able to bluff through this test, but those that follow are harder to fake. 2. Faithfulness. Are you faithful? This is one of the first tests a leader must have confidence in someone’s ability to be there when they are supposed to be. When a person or couple is consistently away from church, leaders wonder if they will be left “holding the bag” when that person does not arrive to fulfill their obligation. It does not matter how gifted you are if you are not faithful in being part of the group to begin with. 3. Teachability. Do you know all that you need to learn about your role or field? Are you someone who likes to show how much you know and convince everyone of your understanding of things? If you believe that you have it all figured out, you do not need help from anyone or that you do not have any need to grow, than you are not teachable. There will always be someone who has an idea, a tip, or a call to improve. These people or situations will inevitably cross with our lives and roles of service because we can always improve. When we are unwilling to grow or learn we will continually frustrate our fellow team members, and ultimately ourselves. 4. Teamwork. Serving Christ and His Church is a team effort, so everyone who wants to serve must be able to work as part of that team. The test for teamwork takes a look at how you get along with other people. Being part of a church team is more than sharing office space or sitting together on the same pew on Sunday morning. It is more than just tolerating one another and helping one another. How well do you get along with others? If someone has trouble being around or getting along with others outside of ministry, they should not be invited onto the team. 5. Submission. Are you willing to follow, even if it means that you may not have the chance to lead? Many people want a seat at the table or the title of leader because they want to be in charge. They want to make decisions or at least have a say in them. But there can only be one leader at any given time. If someone is unable to take direction, unable to follow, then they are not qualified to lead. Only the one who recognizes and submits to authority should be given authority. What about you? What tests did you have to pass before you were trusted with serving your church? What other tests do you employ in your setting? Fred — This is another wisdom-laden view to some truths one should consider when desirous of walking in leadership. Persons considering leading sometimes are unable to detect blemishes in their potential for leadership or they apply mascara over them in an effort to conceal their existence. Nonetheless, when the heat gets turned up and the perspiration begins to flow, so too does the mascara. Et, voila! The devil masquerades all the time and avoids detection for a while. Thank God for the leader who can detect mascara and protect some leadership hopefuls from themselves, and at the same time, protect the congregation from them. Sometimes individuals want top positions even though they lack the right dispositions. Good writings and perceptions. Keep it going.